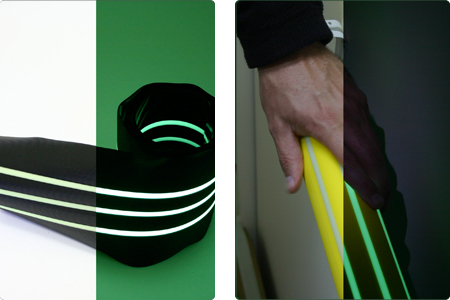 Glow in the dark wall skirting cover. Designed for office applications to install over commercial skirting and wire covers. 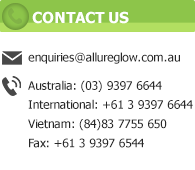 It is coextruded from durable EVA plastic and incorporates the Allureglow® premium grade of pigment. 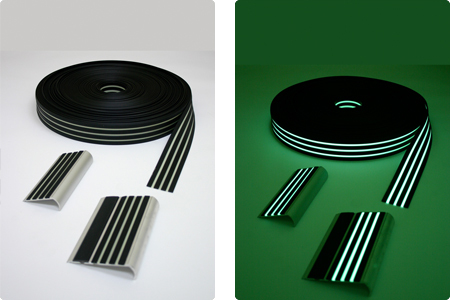 Allureglow® skirting is designed with a single large 15mm photoluminescnet stripe which asct as a visible pedestrian guide in darkness. Allureglow® stair nose is co extruded from durable EVA plastic and is available in square or bullnose profile. The stair nosing can be fitted over most existing square or bullnose stairs for greater delineation in darkness. 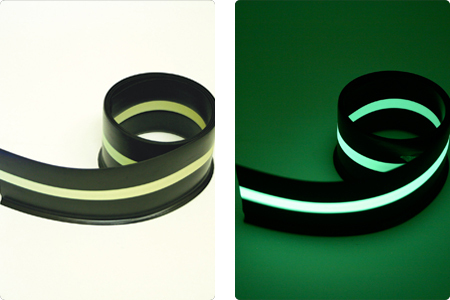 Square edge is available in black or yellow with 3 glowing strips along the top and one glowing strip on the front. The strip can be used in most timber, concrete and steel stair applications. Combining aesthetics and practicality this durable nosing has the advantage of being visible in the day and in darkness. Useful in most indoor and outdoor applications the Allureglow® range of commercial nosing includes bullnose and straight and profiles are designed for hard step or over carpet applications. The commercial range can be customised to suit building aesthetics and can be anodized or powder coated if required. The 50mm stair insert is available separately to suit other manufacturer’s profiles also. Allureglow® customised industrial stair treads for heavy duty application on oil rigs, platforms, heavy industry, mining, trucking, power plant application or any high use area. The treads can be produced on Aluminium, Stainless steel or galvanised steel. 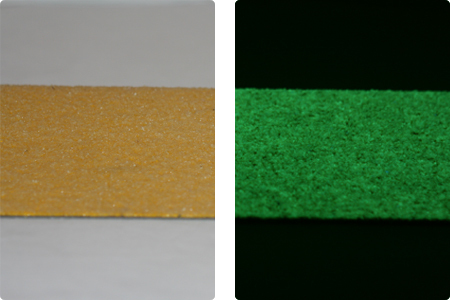 They are coated with coarse photoluminescent glow in the dark pigment, carborundum and 2 pack epoxy. 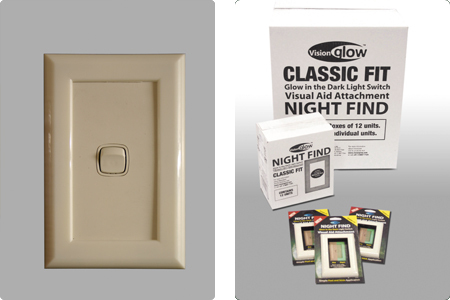 Allureglow®, glow in the dark night find light switch attachments have been moulded using the highest grade of Allureglow® photoluminescent pigment to ensure the brightest performance possible. Allureglow® safety domes can be used for a wide range of applications including children’s night lights, floor marking, post marking, camping, night time guidance, boats, fishing, caravans, driveways, bicycle tracks. The domes charge up with a few minutes light and emit a glow that lasts up to 12 hours depending on the surrounding ambient light conditions. 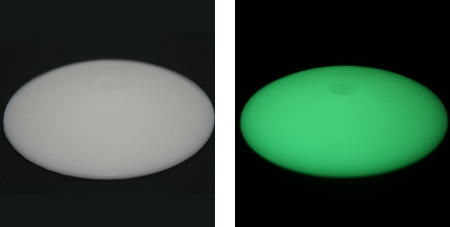 Glow Colours: Two beautiful Glow in the dark Colors to choose from Aqua and Green. Day Colours: Wide selection of Sizes, Finish, Colors and Design options. 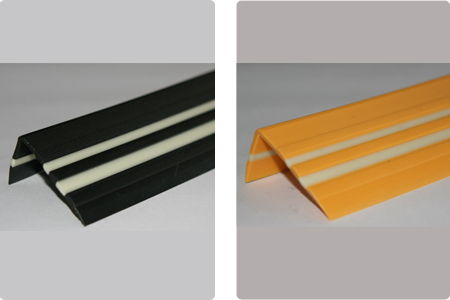 Profile: Straight Edge & Round edge are also available. 1: Available in Aqua or Green of Glow Colors. 3: Rounded Edges are also available, other sizes are also available, smaller sizes come with a Straight Edge. Profile: . All Pool Tile is finished with Rounded Edges. Profile: All Exit sign tile is finished with Rounded Edges. Tile types: Ceramic is normally used indoor or outdoor for walls. Porcelain is much stronger with less than 0.5% water absorption so can be used for wall, floors and outdoor applications.